This post is Reflection the Fourth for “Math is Personal”. It is largely a response to Justin Lanier’s post “In What Ways Can Math be a Part of Your Life” which looks at some of the ways that people can use math in their life. My students from last year ALWAYS asked “When am I ever going to use this?”, so this post caught my eye. Math as Everyday Activity: Calculating tips, figuring out how much bacon you can afford with your monthly paycheck, etc. 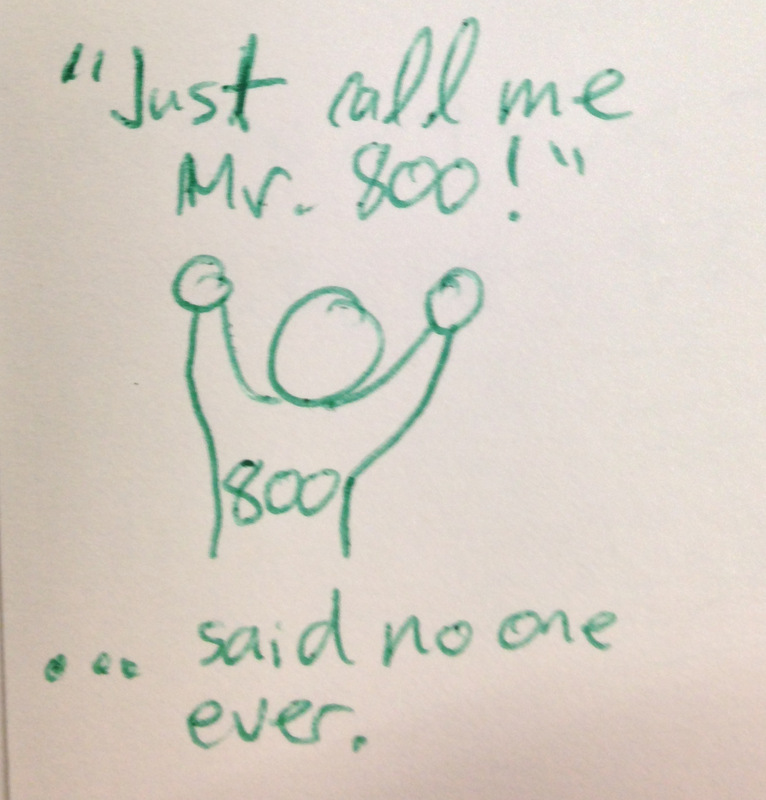 Math as Social Token: : How other people perceive your knowledge of math. For example: whether your friends consider you a “math” person, whether your GPA/courseload/SAT scores are strong. Math as Investigatory Tool: Using math to access other areas of knowledge, especially science and history. As a teacher, I try to think about Math as Everyday Activity often. I feel like students buy into Math As Everyday Activity…sometimes. They seemed more responsive when I was able to show them an authentic connection. Making the connection is definitely easier for some topics (statistics, solving for unknowns) than for others (triangle congruence shortcuts) and I feel like students can tell when the connection is forced. I feel like I believe strongly in Math as Investigatory Tool as a result of student teaching last year. As my definition of math begins to extend beyond merely using numbers to measure things, I begin to realize how much math is about understanding and communicating about the world around us. I was not as aware of Math as Investigatory Tool prior to my student teaching/grad skool year. I especially see Math as Investigatory Tool in Common Core Practices (persevering, making sense of problems, making arguments, etc), which I want to promote even more in the years to come (speaking of, check out this amazing paraphrase of the Mathematical Practice Standards). While I didn’t appreciate Geometry’s abstract nature in high school, the idea of having to logically prove something (rather than just saying “they look about equal” or “because you told me to write it down”) stands out to me as useful, important and intriguing. I am also trying to figure out how to teach proofs in a way that’s intuitive and not just 2 column based (re: 2 columns: so much writing, so little interest). I’m honestly not sure how I feel about Math as Social Token. I’m not sure how I used to feel about it, I’m not sure how I feel about it now and I can’t even fathom how I’ll feel about it in December (4 months into the school year), let alone next year, let alone in a few years. I know that Math as Social Token is heavily in my favor as an individual. A lot of my high school friends were strong math students and while that encouraged me to engage with math and cast it in a more positive light, it also exposed me to the way that your average high school student generally thinks about math (“More homework? Boo. When am I ever going to need to know how to do this?”). My SAT scores (which fall solidly into the category of “just good enough”) and psuedo-engineering major also play into this. So I’ve benefitted a lot from mathematical social status, even if I don’t consider myself “a math person”. But here’s the thing: I want my students to be accepted (or have status; however you’d like to call it) regardless of their relationship with math. In an ideal world, yeah, they’d all love math, pass all their tests (standardized or otherwise) and dance through fields of gold with rainbows and butterflies. But I suspect that many of my students will struggle with math and, while I want them to persevere and overcome those struggles, I don’t want those struggles (which may reflect negatively on GPAs, SAT scores, etc) to hold them back. Right now, I feel like status is conferred for having the right answers, not for struggling to make sense of problems or asking clarifying questions (or any of the Math as Investigatory Tool practices). More to the point, indicators such as GPA, SAT scores and even the courses you take (or are allowed to take) aren’t always indicators of mathematical ability or disposition. And despite the fact that I’m committing to teaching math for the foreseeable future, it’s probably more important to me that my students are good people. Or creative problem solvers. Or persevere when the track is tough and the hill is rough (and I fully agree that you can do all of these while still being a strong mathematician). Or maybe I’m just irritated by status issues, mathematical or otherwise. I need to think on this one. I believe it’s important, but am currently trying to figure out how I can authentically convince students that they can enjoy math and that it’s not just a required subject . Also, I worry that students (especially those who have struggled in the past) may not buy into this as quickly as others. There are certainly things I can do to encourage this, such as finding interesting, complex problems (hit me up if you’ve got any?) and helping to scaffold student knowledge in a way that makes it accessible to students who may not consider themselves math students. Like I said, I’ll be thinking about this more. 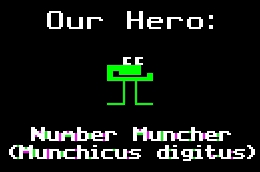 As part of the sMOOC/online course I’m taking, we’re all reflecting on a site called Math Munch. Every week, they (it?) post(s) on 3 mathematical topics. This week, it was the Coastline Paradox, Clueless Puzzles and Beach Art. Last week, it was honeycombs, a polyhedron called the rhombic dodecahedron and a game called Microtone. Extra resources. I’m liking the resources and background information that Math Munch provides. More often than not, I find myself clicking on these links to find out more about the chosen topics which is great because many of the topics are new or are concepts that I don’t know much about. Short and sweet. When reading Math Much, I don’t feel overwhelmed the way I did when slogging through 20+ page articles for graduate school. Similarly, I appreciate that Math Munch only covers 3 topics a week. In an ideal world, I’d find more time to do my own research on math. But in the reality of the teaching world, learning about 3 new topics seems like enough without being overwhelming (see prior point about being to extend research through links as needed). How to connect to the larger Math Munch community. Or how to work with other people who are using Math Munch. This is more of a question of what I want to do about this. There are other math teachers in the same sMOOC who will likely be looking at and using Math Munch. I know a few math teachers in my area who might be open to using Math Munch or at least bouncing ideas off the drawing board, or however the saying goes. What do you think of Math Munch? Any ideas for how I should attempt to integrate it into next year’s classroom? Automathography for “Math Is Personal” (based on previous mathographies for graduate school and student teaching). I attended middle school and high school in a small suburb or the San Francisco Bay Area with high-performing public schools where math was heavily tracked. As a blanket statement, I was not as good at math as most of my friends. Admittedly, some of my friends memorized the periodic table and programmed music in their free time, so they aren’t the most objective measure of “average” mathematical knowledge. Still, they often understood things about math that I did not. They were also passionate about math in a way that I was not – while I went to class, did the work, generally understood and did well enough, they were petitioning to skip courses (or just skipping them, to the chagrin of the administration), taking advanced online courses, and competing in math competitions. I remember liking 8th grade Algebra (it was systematic and logical) and 11th grade Calculus (it was also systematic and felt higher-level) and not caring as much for 9th grade Geometry (it was too abstract and proofs were too much writing and confusion). Surprisingly, my geometry score on my teaching certification test had fewer red flags than my algebra score. I don’t know if this is due to the passage of time or a change in understanding. I specifically remember learning how to calculate the derivative and second derivate of an equation (from a math teacher who, while good, was not considered particularly strong at our school). Not only did calculating derivatives make sense arithmetically, it made sense as a real world concept – I was calculating the rate that something was changing (or the rate of change of the rate of change), not just plugging numbers into an equation. On the other hand, I liked Algebra – while more systematic and abstract than Calculus, it was logical and (somewhat) easy to understand. It felt like doing a mind-teaser that was tricky, but not impossible. I think I would like statistics a lot as it tends to be very applicable to “the real world” – however, my knowledge of statistics (from college) is a bit shaky. Back to high school – although I liked Calculus, I opted not to take math my senior year, instead taking a course at a local community college over the summer so that I could free up space in my schedule senior year. Four years later, I graduated from college with a Bachelor’s in Product Design (an interdisciplinary major combining Mechanical Engineering and Studio Art), but the mixture of both majors meant I didn’t know either major very in-depth – including some of the math that I wish I had internalized a bit more now. I was also still burned out from high school and didn’t pay as much attention as I wish I had now. Though I might not have been the strongest math student, I soon found that I was interested in education, especially in low-income communities. My junior year, I tutored local high schoolers from through Upward Bound. I remember loving working with and interacting with students (though I don’t remember doing much math tutoring). My actual appreciation for math began at my last job, 6 years after graduating from college. The nonprofit where I worked recruited recent college graduates to work as teaching assistants in high-need high schools. During our first year, we focused exclusively on Integrated Algebra. My co-worker, the Site Director for Math, said that math was the easiest subject to pick up for college graduates (even those who weren’t math majors). He said this somewhat flippantly as he’s good at math (and teaching math and coaching math teachers) and tends to gloss over the details in conversation. Around the same time, my boss also mentioned that research showed that only 15% of youth from low-income communities would graduate from college in six years. Those 15% would be the ones with the most rigorous academic high school courses. He also said that success in algebra was one of the best indicators of academic success. While these numbers shocked me a bit at first, they made sense. I saw this, even in the high performing schools I attended: friends who did well in algebra generally did well in geometry and algebra II/trig (or at least took and passed them). Friends who struggled in algebra were turned off to math and, while they usually continued taking courses, they generally didn’t do well and opted out as soon as possible (taking algebra II instead of algebra II/trig). On a more personal level, I was beginning to work more with Excel and statistics in my job as the Operations Manager. Being a “data-driven” organization meant that we tracked data, calculated it, and then made decisions based on it. Now, I had to know how to relate our numbers and our data to our organization – not just to each other, but to last week’s numbers and to future projections. I also had to explain to my boss and other stakeholders what the numbers meant and what actions we should (or shouldn’t) take, based on these numbers. Jargon-heavy B-school talk? Perhaps, but all of a sudden math was very, very relevant to my life. And I loved it. While running weekly reports for recruitment and program, I could look at numbers, figure out what they meant, figure out why they were different from what we expected, and recommend a course of action to get to where we wanted to be. I struggled a bit with the finance side of things – while I could generally make the numbers fit in the right places, I didn’t have an accounting background and wasn’t sure how to work the software or run or interpret the reports. After inadvertently leaving out a $100,000 check (oops) in our monthly finance report, we got help from a bookkeeper who helped me navigate the software and enter things correctly so that we could keep track of our finances in real time (including how much we owed and how much we were owed). I struggled with finance to the end. While I know there’s a narrative/story that the numbers are trying to tell, I was still trying to figure out how to easily decipher and share that. That was how I found myself applying to graduate school, 12 years after opting out of math during my senior year of high school. Although I thought about teaching high school English, I decided to apply to math programs, knowing that math was a gateway course (among many others) to college. Through graduate school, I student taught in three Geometry classes at an urban comprehensive high school, which had a heavy focus on groupwork and actually tried pretty seriously to detrack its math classes (all incoming students were placed into geometry, regardless of whether or not they’d taken algebra; we tried to provide the necessary support in class with mixed results). It was interesting to see how students related to math; some looked at it (as I once had) in very procedural ways while others were almost scared to do it. Many of the students who claimed to be very bad at math said they’d “always been bad at math”. I also began to see that math was about more than just measurements and calculations – we tried to make concepts and reasoning a big part of the course as well. Math describes the world around us (if you know how to interpret it). Neither learning nor teaching math is easy – they require a lot of work, as do most of the worthwhile things in life. The “smart kids” are often able to make math look easy, which can be discouraging to the rest of us. The smart kids do, in fact, struggle with math, but either make it look easy or just manage to hide it from the rest of us. Many students are scared of math. Partially from watching the smart kids be really good at math, partially because they think they haven’t been as successful at math in the past. Possibly because math is not always taught in a way that is easy to interpret. The more you can break math down into small steps, the better people tend to understand it. It helps people who are struggling with math make connections they wouldn’t see otherwise and it keeps people who are good at math from making sloppy mistakes. I’ve noticed that my friends who were “good at math” tended to be fearless about math – they just went at problems (whereas other people would stop, get confused, and give up). I’m not sure if this was because they were more confident or because they had a better handle on what they were doing. But they never just gave up without trying several times. How do you build up students’ confidence in math? Do you need different kinds of math to be ready for college versus to be ready for a job? How does building relationships tie into math education? How does one effectively teach math to English Language Learners? To a math classes with many, many different ability levels?